Kai Konrad leitet die Abteilung „Finanzwissenschaft“. Seine wissenschaftlichen Schwerpunkte liegen in der volkswirtschaftlichen und finanzwissenschaftlichen Grundlagenforschung zu Fragen nach dem Ursprung, der Funktionsweise und der Finanzierung von Staaten und anderen privaten und öffentlichen Gemeinwesen. Dez. 1990 – Dez. 1991 Lecturer, Department of Economics, University of California, Irvine, U.S.A.
Konrad, K. A. und Morath, F. , 2018. To deter or to moderate? Alliance formation in contests with incomplete information. Economic Inquiry , 56(3), S. 1147 -1463 . Konrad, K. A. und Thum, M. , 2018. Does a Clean Development Mechanism facilitate international environmental agreements?. Environmental and Resource Economics , 69(4), S. 837 -851 . Auerswald, H. , Konrad, K. A. und Thum, M. , 2018. Adaptation, mitigation and risk-taking in climate policy. Journal of Economics , 124(3), S. 269 -287 . Konrad, K. A. , Schöb, R. , Thum, M. und Weichenrieder, A. , 2018. Editorial Note. FinanzArchiv , 74(1), S. 1 -3 . Konrad, K. A. , 2018. Budget and effort choice in sequential Colonel Blotto campaigns. CESifo Economic Studies , 64(4), S. 555 -576 . Konrad, K. A. und Mui, V. L. , 2017. The prince – or better no prince? The strategic value of appointing a successor. Journal of Conflict Resolution , 61(10), S. 2158 -2182 . Konrad, K. A. , 2017. Large investors, regulatory taking and investor-state dispute settlement. European Economic Review , 98, S. 341 -353 . Boyer, P. , Konrad, K. A. und Roberson, B. , 2017. Targeted campaign competition, loyal voters, and supermajorities. Journal of Mathematical Economics , 71, S. 49 -62 . Konrad, K. A. , Lohse, T. und Qari, S. , 2017. Compliance with endogenous audit probabilities. Scandinavian Journal of Economics , 119(3), S. 821 -850 . Herbst, L. , Konrad, K. A. und Morath, F. , 2017. Balance of power and the propensity of conflict. Games and Economic Behavior , 103, S. 168 -184 . Bronsert, A.-K. , Glazer, A. und Konrad, K. A. , 2017. Old money, the nouveaux riches and Brunhilde's marriage strategy. Journal of Population Economics , 30(1), S. 163 -186 . Konrad, K. A. und Stolper, T. B. M. , 2016. Coordination and the fight against tax havens. Journal of International Economics , 103, S. 96 -107 . Konrad, K. A. und Morath, F. , 2016. Bargaining with incomplete information: Evolutionary stability in finite populations. Journal of Mathematical Economics , 65, S. 118 -131 . Konrad, K. A. und Morath, F. , 2016. Evolutionary determinants of war. Defence and Peace Economics , 27(4), S. 520 -534 . Konrad, K. A. , 2015. Affection, speed dating and heart breaking. Journal of Population Economics , 28(1), S. 159 -172 . Herbst, L. , Konrad, K. A. und Morath, F. , 2015. Endogenous group formation in experimental contests. European Economic Review , 74, S. 163 -189 . Ke, C. , Konrad, K. A. und Morath, F. , 2015. Alliances in the shadow of conflict. Economic Inquiry , 53(2), S. 854 -871 . Konrad, K. A. , 2014. Search duplication in research and design spaces - exploring the role of local competition. International Journal of Industrial Organization , 37, S. 222 -228 . Konrad, K. A., Lohse, T. und Qari, S., 2014. Deception detection and the role of self-selection. Journal of Economic Behavior & Organization, 107, 25-39. Konrad, K. A. und Cusack, T. R., 2014. Hanging together or hanged separately: the strategic power of coalitions where bargaining occurs with incomplete information. Journal of Conflict Resolution, 58(5), S. 920-940. Konrad, K. A. und Thum, M., 2014. Climate policy negotiations with incomplete information. Economica, 18(322), S. 244-256. Konrad, K. A. und Thum, M., 2014. The role of economic policy in climate change adaptation. CESifo Economic Studies, 60(1), S. 32-61. Blog Post: Konrad, K. A., and Thum, M., 2014. What is the role of governments in climate change adaptation?, Oxford University Press‘s blog, 23.07.2014. Konrad, K. A., Morath, F. und Müller, W., 2014. Taxation and market power. Canadian Journal of Economics, 47(1), S. 173-202. Ke, C., Konrad, K. A. und Morath, F., 2013. Brothers in arms - An experiment on the alliance puzzle. Games and Economic Behavior, 77, S. 61-76. Konrad, K. A. und Qari, S., 2012. The last refuge of a scoundrel? Patriotism and tax compliance. Economica, 79(315), S. 516-533. Konrad, K. A. und Skaperdas, S., 2012. The market for protection and the origin of the state. Economic Theory, 50(2), S. 417-443. Konrad, K. A. und Kovenock, D., 2012. The lifeboat problem. European Economic Review, 56(3), S. 552-559. Konrad, K. A. und Morath, F., 2012. Evolutionarily stable in-group favoritism and out-group spite in intergroup conflict. Journal of Theoretical Biology, 306, S. 61-67. Elsayyad, M. und Konrad, K. A., 2012. Fighting multiple tax havens. Journal of International Economics, 86(2), S. 295-305. Qari, S., Konrad, K. A. und Geys, B., 2012. Patriotism, taxation and international mobility. Public Choice, 151(3-4), S. 695-717. Konrad, K. A., 2012. Information alliances in contests with budget limits. Public Choice, 151(3-4), S. 679-693. Konrad, K. A., 2011. Search costs and corporate income tax competition. Economics Letters, 112(2), S. 213-215. Konrad, K. A. und Leininger, W., 2011. Self-enforcing norms and efficient non-cooperative collective action in the provision of public goods. Public Choice, 146(3-4), S. 501-520. Konrad, K. A. und Lommerud, K. E., 2010. Love and taxes - and matching institutions. Canadian Journal of Economics, 43(3), S. 919-940. Kalamova, M. und Konrad, K. A., 2010. Nation brands and foreign direct investment. Kyklos, 63(3), S. 400-431. Konrad, K. A. und Kovenock, D., 2010. Contests with stochastic abilities. Economic Inquiry, 48(1), S. 89-103. Konrad, K. A. und Kovenock, D., 2009. Competition for FDI with vintage investment and agglomeration advantages. Journal of International Economics, 79(2), S. 230-237. Konrad, K. A. und Kovenock, D., 2009. The alliance formation puzzle and capacity constraints. Economics Letters, 103(2), S. 84-86. Konrad, K. A. und Kovenock, D., 2009. Multi-battle contests. Games and Economic Behavior, 66(1), S. 256-274. Kessing, S., Konrad, K. A. und Kotsogiannis, C., 2009. Federalism, weak institutions and the competition for foreign direct investment. International Tax and Public Finance, 16(1), S. 105-123. Konrad, K. A., 2008. Mobile tax base as a global common. International Tax and Public Finance, 15(4), S. 395-414. Clark, D. J. und Konrad, K. A., 2008. Fragmented property rights and incentives for R&D. Management Science, 54(5), S. 969-981. Kessing, S. und Konrad, K. A., 2008. Time consistency and bureaucratic budget competition. Economic Journal, 118(525), S. 1-15. Konrad, K. A. und Leininger, W., 2007. The generalized Stackelberg equilibrium of the all-pay auction with complete information. Review of Economic Design, 11(2), S. 165-174. Konrad, K. A. und Skaperdas, S., 2007. Succession rules and leadership rents. Journal of Conflict Resolution, 51(4), S. 622-645. Clark, D. J. und Konrad, K. A., 2007. Asymmetric conflict: weakest link against best shot. Journal of Conflict Resolution, 51(3), S. 457-469. Kessing, S., Konrad, K. A. und Kotsogiannis, C., 2007. Foreign direct investment and the dark side of decentralisation. Economic Policy, 22(49), S. 5-70. Clark, D. J. und Konrad, K. A., 2007. Contests with multi-tasking. Scandinavian Journal of Economics, 109(2), S. 303-319. Huck, S., Konrad, K. A., Normann, H.-T. und Müller, W., 2007. The merger paradox and why aspiration levels let it fail in the laboratory. Economic Journal, 117(552), S. 1073-1095. Kessing, S., Konrad, K. A. und Kotsogiannis, C., 2006. Federal tax autonomy and the limits of cooperation. Journal of Urban Economics, 59(2), S. 317-329. Konrad, K. A., 2006. Silent interests and all pay auctions. International Journal of Industrial Organization, 24(4), S. 701-713. Konrad, K. A. und Spadaro, A., 2006. Education, redistributive taxation and confidence. Journal of Public Economics, 90(1-2), S. 171-188. Kessing, S. G. und Konrad, K. A., 2006. Union strategy and optimal direct taxation. Journal of Public Economics, 90(1-2), S. 393-402. Huck, S. und Konrad, K. A., 2005. Moral cost, commitment and committee size. Journal of Institutional and Theoretical Economics, 161(4), S. 575-588. Bester, H. und Konrad, K. A., 2005. Easy targets and the timing of conflict. Journal of Theoretical Politics, 17(2), S. 199-215. Konrad, K. A., 2004. Bidding in hierarchies. European Economic Review, 48(6), S. 1301-1308. Konrad, K. A., 2004. The investment problem in terrorism. Economica, 71(283), S. 449-459. Konrad, K. A., Peters, W. und Wärneryd, K., 2004. Delegation in first-price all-pay auctions. Managerial and Decision economics, 25(5), S. 283-290. Huck, S. und Konrad, K. A., 2004. Merger profitability and trade policy. Scandinavian Journal of Economics, 106(1), S. 107-122. Konrad, K. A., 2004. Inverse campaigning. Economic Journal, 114(492), S. 69-82. Bester, H. und Konrad, K. A., 2004. Delay in contests. European Economic Review, 48(5), S. 1169-1178. Huck, S., Konrad, K. A. und Müller, W., 2004. Profitable horizontal mergers without cost advantages: the role of internal organization, information and market structure. Economica, 71(284), S. 575-587. Konrad, K. A., 2004. Altruism and envy in contests: an evolutionary stable symbiosis. Social Choice and Welfare, 22(3), S. 479-490. Huck, S. und Konrad, K. A., 2003. Strategic trade policy and the home bias in firm ownership structure. Japan and the World Economy, 15(3), S. 299-305. Andersson, F. und Konrad, K. A., 2003. Globalization and risky human capital investment. International Tax and Public Finance, 10(3), S. 211-228. Andersson, F. und Konrad, K. A., 2003. Human capital investment and globalization in extortionary states. Journal of Public Economics, 87(7-8), S. 1539-1555. Konrad, K. A., Künemund, H., Lommerud, K. E. und Robledo, J., 2002. Geography of the family. American Economic Review, 92(4), S. 981-998. Huck, S., Konrad, K. A. und Müller, W., 2002. Merger and collusion in contests. Journal of Institutional and Theoretical Economics, 158(4), S. 563-575. Konrad, K. A., 2002. Investment in the absence of property rights: the role of incumbency advantages. European Economic Review, 46(8), S. 1521-1537. Huck, S., Konrad, K. A. und Müller, W., 2001. Big fish eat small fish: on merger in Stackelberg markets. Economic Letters, 73(2), S. 213-217. Huck, S., Konrad, K. A. und Müller, W., 2001. Divisionalization in contests. Economics Letters, 70(1), S. 89-93. Konrad, K. A., 2001. Privacy and time-consistent optimal labor income taxation. Journal of Public Economics, 79(3), S. 503-519. Konrad, K. A. und Lommerud, K. E., 2001. Foreign direct investment, intra-firm trade and ownership structure. European Economic Review, 45(3), S. 475-494. Konrad, K. A., 2000. Sabotage in rent-seeking contests. Journal of Law, Economics and Organization, 16(1), S. 155-165. Konrad, K. A. und Lommerud, K. E., 2000. The bargaining family revisited. Canadian Journal of Economics, 33(2), S. 471-487. Konrad, K. A., 2000. Trade contests. Journal of International Economics, 51(2), S. 317-334. Konrad, K. A., 2000. Spatial contests. International Journal of Industrial Organization, 18(6), S. 965-974. Gradstein, M. und Konrad, K. A., 1999. Orchestration rent seeking contests. Economic Journal, 109(458), S. 536-545. Konrad, K. A. und Schjelderup, G., 1999. Fortress building in global tax competition. Journal of Urban Economics, 46(1), S. 156-157. Glazer, A. und Konrad, K. A., 1999. Taxation of rent seeking activities. Journal of Public Economics, 72(1), S. 61-72. Glazer, A., Gradstein, M. und Konrad, K. A., 1998. The electoral politics of extreme policies. Economic Journal, 108(451), S. 1677-1685. Hong, C. S. und Konrad, K. A., 1998. Bandwagon effects and two-party majority voting. Journal of Risk and Uncertainty, 16(2), S. 165-172. Konrad, K. A. und Skaperdas, S., 1998. Extortion. Economica, 65(260), S. 461-477. Konrad, K. A., 1998. Local public goods and central charities. Regional Science and Urban Economics, 28(3), S. 345-362. Konrad, K. A. und Skaperdas, S., 1997. Backing up words with deeds: information and punishment in organized crime. Nordic Journal of Political Economy, 24(1), S. 51-63. Konrad, K. A. und Schlesinger, H., 1997. Risk aversion in rent-seeking and rent-augmenting games. Economic Journal, 107(445), S. 1671-1683. Buchholz, W., Konrad, K. A. und Lommerud, K. E., 1997. Stackelberg leadership and transfers in private provision of public goods. Review of Economic Design, 3(1), S. 29-43. Konrad, K. A. und Torsvik, G., 1997. Dynamic incentives and term limits in bureaucracy regulation. European Journal of Political Economy, 13(2), S. 23-39. Konrad, K. A. und Skaperdas, S., 1997. Credible threats in extortion. Journal of Economic Behavior and Organization, 33(1), S. 23-39. Glazer, A. und Konrad, K. A., 1996. A signaling explanation for private charity. American Economic Review, 86(4), S. 1019-1028. Konrad, K. A. und Richter, W. F., 1995. Capital income taxation and risk spreading with adverse selection. Canadian Journal of Economics, 28(3), S. 617-630. Konrad, K. A. und Lommerud, K. E., 1995. Family policy with non-cooperative families. Scandinavian Journal of Economics, 97(4), S. 581-601. Konrad, K. A., 1995. Fiscal federalism and intergenerational redistribution. Finanzarchiv, N.F., 52(2), S. 166-181. Konrad, K. A., 1995. Social security and strategic inter-vivos transfers of social capital. Journal of Population Economics, 8(3), S. 315-326. Buchholz, W. und Konrad, K. A., 1995. Strategic transfers and private provision of public goods. Journal of Public Economics, 57(3), S. 489-505. Glazer, A. und Konrad, K. A., 1995. Strategic lobbying by potential industry entrants. Economics and Politics, 7(2), S. 167-169. Buchholz, W. und Konrad, K. A., 1994. Global enviromental problems and the strategic choice of technology. Journal of Economics, 60(3), S. 299-321. Hohaus, B., Konrad, K. A. und Thum, M., 1994. Too much conformity? A Hotelling model of local public goods supply. Economics Letters, 44(3), S. 295-299. Glazer, A. und Konrad, K. A., 1994. Intertemporal commitment problems and voting on redistributive taxation. Journal of Urban Economics, 36(3), S. 278-291. Konrad, K. A., Olsen, T. und Schöb, R., 1994. Resource extraction and the threat of possible expropriation: the role of Swiss bank accounts. Journal of Environmental Economics and Management, 26(1), S. 149-162. Konrad, K. A., 1994. The strategic advantage of being poor: private and public provision of public goods. Economica, 61(241), S. 79-92. Konrad, K. A., 1994. Drug policy and federalism. Public Choice, 80(1-2), S. 55-68. Konrad, K. A. und Thum, M., 1993. Fundamental standards and time consistency. Kyklos, 46(4), S. 545-568. Konrad, K. A. und Skaperdas, S., 1993. Self-insurance and self-protection, a non-expected utility analysis. Geneva Papers on Risk and Insurance Theory, 18(2), S. 131-146. Glazer, A. und Konrad, K. A., 1993. Private proposition of public goods, limited tax deductibility, and crowding out. Finanzarchiv N.F., 50(2), S. 203-216. Glazer, A. und Konrad, K. A., 1993. Ameliorating congestion by income redistribution. Regional Science and Urban Economics, 20(2), S. 579-584. Konrad, K. A., 1993. Two-moment decision models and rank-dependent utility. Journal of Economics/ Zeitschrift für Nationalökonomie, 57(1), S. 95-101. Konrad, K. A. und Lommerud, K. E., 1993. Relative standing comparisons, risk taking and safety regulations. Journal of Public Economics, 51(3), S. 345-358. Glazer, A. und Konrad, K. A., 1993. The evaluation of risky projects by voters. Journal of Public Economics, 52(3), S. 377-390. Konrad, K. A., 1992. Wealth seeking reconsidered. Journal of Economic Behavior and Organization, 18(2), S. 215-227. Konrad, K. A., 1991. The decision to go public, accrued captial gains and taxation. Economics Letters, 37(4), S. 439-445. Konrad, K. A., 1991. Capital formation, risk taking and taxation. Public Finance/ Finances Publiques, 46(2), S. 252-267. Konrad, K. A., 1991. Risk taking and taxation in complete capital markets. Geneva Papers on Risk and Insurance Theory, 16(2), S. 167-177. Konrad, K. A., 1991. The Domar-Musgrave phenomenon and adverse selection. European Journal of Political Economy, 7(1), S. 41-53. Konrad, K. A., 1990. Depreciation allowances, taxation and risk-taking. Finnish Economic Papers, 3(2), S. 161-165. Konrad, K. A., 1990. Statuspräferenzen: soziobiologische Ursachen, Statuswettrüsten und seine Besteuerung. Kyklos, 43(2), S. 249-272. Konrad, K. A., 1989. Kapitaleinkommensteuern und bechleunigte Abschreibungen bei Unsicherheit. Finanzarchiv, N.F., 47, S. 404-427. Konrad, K. A., 1988. Intergenerationelle Gerechtigkeit bei bestandsabhängigen Extraktionskosten. Jahrbücher für Nationalökonomie und Statistik, 205, S. 400-409. Konrad, K. A. und Zschäpitz, H. , 2012. Schulden ohne Sühne? Was Europas Krise uns Bürger kostet. dtv , 284 Seiten . Konrad, K. A. und Zschäpitz, H. , 2010. Schulden ohne Sühne? Warum der Absturz der Staatsfinanzen uns alle trifft. C.H. Beck . Konrad, K. A. , 1993. Selbstbindung und die Logik kollektiven Handelns. Unveröffentlichtes Manuskript, als Habilitationsschrift an der Universität München angenommen. Konrad, K. A. , 1992. Risikoproduktivität. Contemporary Studies in Economics. Heidelberg, Berlin , Springer . Konrad, K. A. , Schöb, R. , Thum, M. und Weichenrieder, A. (Hrsg.) , 2013. Die Zukunft der Wohlfahrtsgesellschaft. Festschrift für Hans-Werner Sinn. Campus Verlag. Schön, W. und Konrad, K. A. (Hrsg.) , 2012. Fundamentals of International Transfer Pricing in Law and Economics-Volume 1. Springer. Konrad, K. A. und Lohse, T. (Hrsg.) , 2009. Einnahmen- und Steuerpolitik in Europa: Herausforderungen und Chancen. Peter Lang Verlag. Congleton, R. D. , Hillman, A. L. und Konrad, K. A. (Hrsg.) , 2008. 40 Years of Research on Rent Seeking (Vol. 1 and Vol. 2). Springer. Konrad, K. A. und Jochimsen, B. (Hrsg.) , 2008. Föderalismuskommission II: Neuordnung von Autonomie und Verantwortung. Peter Lang Verlag. Gradstein, M. und Konrad, K. A. (Hrsg.) , 2007. Institutions and Norms in Economic Development. MIT Press. Konrad, K. A. und Jochimsen, B. (Hrsg.) , 2007. Der Föderalstaat nach dem Berlin-Urteil. Peter Lang Verlag. Konrad, K. A. und Jochimsen, B. (Hrsg.) , 2006. Finanzkrise im Bundesstaat. Peter Lang Verlag. Glazer, A. und Konrad, K. A. (Hrsg.) , 2003. Conflict and Governance. Springer. Konrad, K. A. und Geys, B. , Patriotism and taxation. In: Sardoč, M. (Hrsg.) , Handbook of Patriotism. Springer International Publishing, im Erscheinen. Konrad, K. A. , 2016. Licht für Europa – Eine Stromsteuer für den Haushalt der Europäischen Union. Die Zukunft der EU-Finanzen, Arbeitspapiere im Rahmen des BMF-Forschungsvorhabens fe 1/14, FiFo Berichte Nr. 22 , S. 155 -168 . Englische Übersetzung: Light for Europe - An electricity tax for the European Union budget. In: Büttner, T. und Thöne, M. (Hrsg. ), The Future of EU-Finances, Beiträge zur Finanzwissenschaft, Mohr Siebeck, Tübingen, 2016, 137-149. Konrad, K. A. , 2015. Die Europäische Schuldenkrise – Die Rolle von Freiheit und Verantwortung. In: Institut für Ökonomie der Zukunft, (Hrsg.) , Schriftenreihe. Frankfurt am Main, Frankfurter Allgemeine Buch. Konrad, K. A. , 2014. Strategic aspects of fighting in alliances. In: Wärneryd, K. (Hrsg.) , The Economics of Conflict, CESifo Seminar Series. Cambridge & London, The MIT Press, S. 1 -22 . Keen, M. und Konrad, K. A. , 2013. The theory of international tax competition and coordination. In: Auerbach, A. J. , Chetty, R. , Feldstein, M. und Saez, M. (Hrsg.) , Handbook of Public Economics, Volume 5. Amsterdam & Oxford, Elsevier, S. 257 -328 . Konrad, K. A. , 2013. Ursachen der Schuldenkrise und Konzepte zu ihrer Bewältigung. In: Başaran Yavaşlar, F. (Hrsg.) , Finanzkrise in der Europäischen Union und ihre Einflüsse auf die Türkei (Avrupa Birliğinde Mali Kriz ve Türkiye'ye Etkileri). Ankara, Seçkin, S. 65 -74 . Konrad, K. A. , 2013. Haushaltsdisziplin in Deutschland unter der Perspektive des Bremen-Syndroms. In: Heintzen, M. (Hrsg.) , Auf dem Weg zu nachhaltig ausgeglichenen öffentlichen Haushalten. Baden-Baden, Nomos-Verlag, S. 45 -57 . Wiederabgedruckt in: Gesmann-Nuiss, D., Hartz, R. und Dittrich, M. (Hrsg. ): Perspektiven der Wirtschaftswissenschaften, Springer Gabler Verlag, Wiesbaden, 2014, 109-122. Werding, M. und Konrad, K. A. , 2012. Reforming the European welfare state. In: Büttner, T. und Ochel, W. (Hrsg.) , The Continuing Evolution of Europe, CESifo Seminar Series. Cambridge & London, The MIT Press, S. 71 -118 . Geys, B. und Konrad, K. A., 2010. Federalism and optimal allocation across levels of governance. In: Enderlein, H., Wälti, S. und Zürn, M. (Hrsg. ), Handbook on Multi-Level Governance. Edward Elgar, S. 32-46. Konrad, K. A., 2010. Merger profitability in industries with brand portfolios and loyal customers. The Korean Economic Review, 26(1), S. 5-26. Konrad, K. A. und Lohse, T., 2009. Einnahmen- und Steuerpolitik in Europa: Herausforderungen und Chancen – Eine Einführung. In: Konrad, K. A. und Lohse, T. (Hrsg. ), Einnahmen- und Steuerpolitik in Europa: Herausforderungen und Chancen. Peter Lang Verlag, S. 7-10. Konrad, K. A., 2009. Suchkosten und das Körperschaftssteuerparadox. In: Konrad, K. A. und Lohse, T. (Hrsg. ), Einnahmen- und Steuerpolitik in Europa: Herausforderungen und Chancen. Peter Lang Verlag, S. 119-131. Konrad, K. A., 2009. Investing in regimes with stationary or roving bandits. In: Hess, G. D. (Hrsg. ), Guns and Butter: The Economic Causes and Consequences of Conflict. MIT Press, S. 99-121. Congleton, R. D., Hillman, A. L. und Konrad, K. A., 2008. An overview. In: Congleton, R. D., Hillman, A. L. und Konrad, K. A. (Hrsg. ), 40 Years of Research on Rent Seeking (Vol. 1 and Vol. 2). Springer, S. 1-42. Huck, S., Konrad, K. A. und Müller, W., 2008. Mergers without cost advantages. In: Collins, W. D. (Hrsg. ), Issues in Competition Law and Policy. American Bar Association, S. 1575-1587. Konrad, K. A., 2008. Überlegungen zur "Goldenen Regel" zur Schuldenbegrenzung. In: Konrad, K. A. und Jochimsen, B. (Hrsg. ), Föderalismuskommission II: Neuordnung von Autonomie und Verantwortung. Peter Lang Verlag, S. 77-89. Gradstein, M. und Konrad, K. A., 2007. The development puzzle. In: Gradstein, M. und Konrad, K. A. (Hrsg. ), Institutions and Norms in Economic Development. MIT Press, S. 3-18. Konrad, K. A., 2007. Ein Ausweg aus der bundesstaatlichen Haftungsverflechtung. In: Konrad, K. A. und Jochimsen, B. (Hrsg. ), Der Föderalstaat nach dem Berlin Urteil. Peter Lang Verlag, S. 155-169. Konrad, K. A., 2006. Fiskalische Handlungsfähigkeit und globaler Wettbewerb. In: Kocka, J. (Hrsg. ), Zukunftsfähigkeit Deutschlands, Sozialwissenschaftliche Essays. WZB Jahrbuch, S. 113-130. Jochimsen, B. und Konrad, K. A., 2006. Anreize statt Haushaltsnotlagen. In: Konrad, K. A. und Jochimsen, B. (Hrsg. ), Finanzkrise im Bundesstaat. Peter Lang Verlag, S. 11-28. Andersson, F. und Konrad, K. A., 2005. Bildung, Besteuerung und internationale Mobilität. In: Becker, U. und Schön, W. (Hrsg. ), Steuer- und Sozialstaat im europäischen Systemwettbewerb. Mohr Siebeck, S. 75-92. Konrad, K. A., 2004. Mobilität in mehrstufigen Ausbildungsturnieren. In: Franz, W., Ramser, H. J. und Stadler, M. (Hrsg. ), Bildung. Mohr Siebeck, S. 67-81. Konrad, K. A., 2003. Soll Europa mit einer Stimme sprechen?. In: Klaus, A. und Franz, W. (Hrsg. ), Instrumente der Finanzpolitik. Frankfurt, F.A.Z-Institut, S. 156-164. Wiederabgedruckt unter dem Titel: Föderalismus und Governance: Soll Europa mit einer Stimme sprechen?. In: Grande, E. und May, S. (Hrsg. ), Perspektiven der Governance-Forschung. Nomos, 2009, S. 21-29. Konrad, K. A. und Seitz, H., 2003. Fiscal federalism and risk sharing in Germany: the role of size diffences. In: Sijbren, C. und Sinn, H.-W. (Hrsg. ), Public Finance and Public Policy in the New Century. MIT Press, S. 469-489. Anderrson, F. und Konrad, K. A., 2003. Taxation and education investment in the tertiary sector. In: Andersen, T. und Molander, P. (Hrsg. ), Alternatives for Welfare Policy. Cambridge University Press, S. 311-333. Konrad, K. A. und Wagner, G., 2002. Reform of the public pension system in Germany. In: Ihori, T. und Tachibanaki, T. (Hrsg. ), Social Security Reform in Advanced Countries. Routledge, S. 188-205. Huck, S. und Konrad, K. A., 2002. Unternehmensfusionen und strategische Außenhandelspolitik. In: Franz, W., Ramser, H.-J. und Stadler, M. (Hrsg. ), Fusionen. Mohr Siebeck, S. 181-199. Konrad, K. A., 2001. Besteuerung und Humankapitalinvestitionen im tertiären Bildungssektor. In: Röller, L.-H. und Wey, C. (Hrsg. ), Die Soziale Marktwirtschaft in der neuen Weltwirtschaft. Jahrbuch 2001, edition sigma, S. 91-107. Buchholz, W. und Konrad, K. A., 2000. Risiko und Steuern. In: Andel, R. (Hrsg. ), Probleme der Besteuerung III. Duncker und Humblot, S. 63-139. Konrad, K. A., 1999. Unvollkommene Information, zeitkonsistente optimale Einkommensbesteuerung und Ausbildungsinvestitionen. Beiheft der Konjunkturpolitik, S. 25-32. Konrad, K. A. und Potrafke, N. , 2018. Collective memories on the European debt crisis. ifo World Economic Survey , 17(4), S. 13 -14 . Konrad, K. A. und Rocholl, J. , 2018. Euro Sustainability. ifo Dice Report , 16(3), S. 3 -4 . Konrad, K. A. , 2018. Wie viel Gemeinwohlorientierung braucht der Unternehmer. In: Flick, C. M. (Hrsg.) , Das Gemeinwohl im 21. Jahrhundert. Göttingen, Convoco Edition, S. 129 -138 . Konrad, K. A. , 2017. Autorität in der Medienlandschaft. In: Flick, C. M. (Hrsg.) , Autorität im Wandel. Göttingen, Convoco Edition, S. 67 -77 . Konrad, K. A. , 2016. Macht und Ohnmacht der EZB. In: Flick, C. M. (Hrsg.) , Die Ohnmacht der Macht. Die Macht der Ohnmacht. Göttingen, Convoco Edition, S. 117 -124 . Konrad, K. A. , 2015. Wirtschaftspolitik in der Finanzkrise. In: Felbermayr, G. , Knoche, M. und Wößmann, L. (Hrsg.) , Hans-Werner Sinn und 25 Jahre deutsche Wirtschaftspolitik. München, Hanser, S. 176 -177 . Englische Übersetzung wiederabgedruckt unter dem Titel: Economic policy in the financial crisis, CESifo Forum, 17 (Special Issue), 2016, 36-37. Konrad, K. A. , 2015. Deadline auf Rädern. Der Hauptstadtbrief , 130(17), S. 6 -7 . Konrad, K. A. , Thum, M. und Waldhoff, C. , 2015. Reformbedarf beim öffentlich-rechtlichen Rundfunk. Wirtschaftswissenschaftliches Studium , 44(6), S. 295 . Konrad, K. A. , 2015. Verzicht auf Wachstum?. In: Flick, C. M. (Hrsg.) , Tun oder Nichttun - Zwei Formen des Handelns. München and Frankfurt am Main, Convoco Edition, S. 137 -146 . Konrad, K. A. und Schöb, R. , 2014. Fracking in Deutschland - Eine Option für die Zukunft!. Wirtschaftsdienst , 94(9), S. 645 -650 . Weitere Veröffentlichung des Beitrags: Umwelt & Aktiv, Naturschutz-Tierschutz-Heimatschutz, 7/2015, S. 15-17. Büttner, T., Konrad, K. A. und Rocholl, J., 2014. Staatsverschuldung: Privilegien des Staates auf dem Prüfstand. Wirtschaftsdienst, 94(8), S. 560-563. Konrad, K. A., 2014. Der Traum eines Finanzministers ist die Entschuldung im Schlaf. Der Hauptstadtbrief, 122(16), S. 28-31. Konrad, K. A., 2014. Balancing austerity and strategies for growth. CFA Institute Conference Proceedings Quarterly, Second Quarter, S. 1-8. Konrad, K. A., 2014. "Lackmustest" zur Stabilitätsunion. Wirtschaftsdienst, 94(3), S. 154. Konrad, K. A., 2014. Gefährliche Welten. In: Flick, Corinne, Michaela (Hrsg. ), Rechnen mit dem Scheitern: Strategien in ungewissen Zeiten. Göttingen, Convoco Edition, S. 115-122. Englische Übersetzung: Konrad, K. A., 2014. Dangerous wagers, in: Corinne Michaela Flick (ed. ), Dealing with Downturns: Strategies in Uncertain Times, 2014, 123-133. Konrad, K. A., 2014. Wer hat Angst vorm bösen Wort?. Der Hauptstadtbrief, 120(16), S. 30-32. Konrad, K. A., 2013. Haftungsrisiken und Fehlanreize aus ESM und OMT-Programm. Wirtschaftsdienst, 93(7), S. 431-439. Konrad, K. A., 2013. Steuerflucht und Steueroasen - Lässt sich der Kampf gegen die Steueroasen gewinnen?. Wirtschaftsdienst, 93(6), S. 359-376. Konrad, K. A., 2013. Der Staat entschuldet sich, der Sparer zahlt die Zeche. Der Hauptstadtbrief, 113(15), S. 7-11. 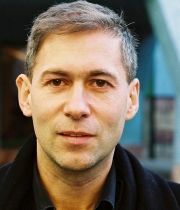 Konrad, K. A., 2012. Den Euro retten, Europa preisgeben?. Der Hauptstadtbrief, 108(14), S. 9-12. Konrad, K. A., 2012. Kommentar zum Vortrag von Joachim Weimann: Wie sinnvoll ist der klimapolitische Alleingang Deutschlands?. ifo Schnelldienst, 65(12), S. 40-41. Weitere Veröffentlichungen des Beitrags: Konrad, K. A., 2012. Zum deutschen Sonderweg in der Klimapolitik: Ergänzende Betrachtungen. In: Rundgespräche der Kommission für Ökologie, Die Zukunft der Energieversorgung, 41, 165-168. Flick, C. M. und Konrad, K. A., 2011. Dorforchester und Superstars – Wem gehört die Musik. In: Flick, Corinne Michaela (Hrsg. ), Wem gehört das Wissen der Welt. Convoco Edition, S. 163-172. Konrad, K. A. und Zschäpitz, H., 2011. The future of the eurozone. CESifo Forum, 12(2), S. 46-49. Auerswalde, H., Konrad, K. A. und Thum, M., (08.06.2011). Unsichere Klimafolgen und rationale Klimapolitik. Ökonomenstimme. Weitere Veröffentlichungen des Beitrags: ifo Schnelldienst, 64(18), 2011, S. 40-42. Konrad, K. A., 2011. Robuste Finanzmärkte – eine sichere Bank. Max Planck Forschung, S. 12-17. Feld, L. P., Konrad, K. A. und Thum, M., 2011. Umdenken in der Klimapolitik nach dem Gipfel von Cancún!. ifo Schnelldienst, 64(5), S. 8-11. Konrad, K. A., 2010. Die Zukunft der Eurozone. In: Flick, C. M. (Hrsg. ), Staatsfinanzierung und Wirtschaftsfinanzierung am Scheideweg. Convoco Edition, S. 165-187. Englische Übersetzung: Konrad, K. A. und Zschäpitz, H., 2013. The future of the Eurozone. In: Flick, C. M. (Hrsg. ), Can’t pay, won’t pay? Sovereign debt and the challenge of growth in Europe, S. 93-106. Konrad, K. A., 2010. Wege aus der europäischen Staatsschuldenkrise – Eine Frage der Glaubwürdigkeit. Wirtschaftsdienst, 90(12), S. 783-786. Konrad, K. A., 2010. Fiskalregeln und Zeitkonsistenz. In: Kastrop, Christian und Gisela Meister-Scheufelen / Margaretha Sudhof (Hrsg. ), Die neuen Schuldenregeln im Grundgesetz – Zur Fortentwicklung der bundesstaatlichen Finanzbeziehungen, Schriften zur öffentlichen Verwaltung und öffentlichen Wirtschaft. Berliner Wissenschafts-Verlag, S. 153-154. Konrad, K. A. und Lommerud, K. E., 2010. Geld oder Liebe? – Die Bedeutung von Steuern und Matching-Institutionen für das Eheglück. WZB-Mitteilungen, H. 119, 2008, Ökonomenstimme 22.03.2010 und Beziehungsweise - Informationsdienst des Österreichischen Instituts für Familienforschung, September 2010. Konrad, K. A., 2010. Schuldenkrise in der Europäischen Union – Rettung durch eine beschränkte Garantie. Wirtschaftsdienst, 90(3), S. 143-147. Konrad, K. A., 2009. Gegen den Trend: Dr. Thilo Sarrazin ist "Steuermann des Jahres" – Preisträger für herausragendes strategisches Finanz- und Beteiligungsmanagement. Der Neue Kämmerer, S. 1. Konrad, K. A., 2008. Verschuldungsautonomie und Schuldenselbstverantwortung. Kritische Vierteljahreszeitschrift für Gesetzgebung und Rechtswissenschaft, S. 157-170. Konrad, K. A., September 2008. Föderalismusreform: Effizienz oder Verteilung?. Ifo-Schnelldienst, S. 5-6. Konrad, K. A., September 2007. Vorschläge zur wirksamen Verschuldungsbegrenzung der Länder. Wirtschaftsdienst, 87(9), S. 581-585. Konrad, K. A., 22. Juni 2007. Föderalismusreform II – Kommissionsdrucksache K-Drs. 020: Stellungnahme zur öffentlichen Anhörung zu den Finanzthemen. Jochimsen, B. und Konrad, K. A., Juni 2006. Wann sind öffentliche Haushalte überschuldet, und wie lassen sich Haushaltsnotlagen bewältigen?. Orientierungen zur Wirtschafts- und Gesellschaftspolitik, S. 12-16. Konrad, K. A., 2006. Symbolische Entflechtungspolitik. Das Ende der geteilten Finanzierung würde der Grundlagen­forschung schaden. WZB-Mitteilungen, S. 11-12. Konrad, K. A. und Kessing, S., 2005. Konjunkturpolitik kann Stukturpolitik nicht ersetzen. WeltTrends, 47(13), S. 111-114. Konrad, K. A. und Richter, W. F., 2005. Zur Berücksichtigung von Kindern bei umlagefinanzierter Alterssicherung. Perspektiven der Wirtschaftspolitik, 6(1), S. 115-130. Konrad, K. A., März 2004. Kein Konsens für das Klima, Stifterverband für die Deutsche Wissenschaft. Wirtschaft & Wissenschaft, S. 38-39. Konrad, K. A., 2003. Europäische Verfassungsreform: Wider ein Zuviel an Entscheidungskompetenzen. In: Zimmermann, Klaus F. (Hrsg. ), Reformen - jetzt! So geht es mit Deutschland wieder aufwärts. Betriebswirtschaftlicher Verlag Dr. Th. Gabler, S. 161-169. Konrad, K. A., 2002. Human capital and the 'New Enterprise'. In: Schröder, Gerhard (Hrsg. ), Progressive Governance for the XXI Century. C.H. Beck, S. 171-180. Zimmermann, K. F., Burda, M. C., Konrad, K. A., Schneider, F., von Hagen, J. und Wagner G. G., 1998. Petersberger Erklärung: Anstöße für eine zukunftsgerichtete Arbeitsmarktpolitik. Wirtschaftsdienst, S. 652-653. Konrad, K. A. , 11. August 2018. "Die Zukunft des Kapitalismus" , Focus , S. 56 . Konrad, K. A. , 02. Juli 2018. "Lob und Tadel des Sparens" , Neue Zürcher Zeitung , S. 8 . Konrad, K. A. , 15. Juni 2018. "Finanzielle Verflechtung kann die Freundschaft belasten" , Börsenzeitung . Konrad, K. A. , 22. April 2018. "Auf Schulden lässt sich keine Freundschaft bauen" , Frankfurter Allgemeine Sonntagszeitung , S. 25 . Konrad, K. A. , 18. April 2017. "Die Kosten werden untragbar. Gastkommentar" , Neue Zürcher Zeitung , S. 10 . Konrad, K. A. , 23. Dezember 2014. "Fracking? Später vielleicht (mit Ronnie Schöb)" , Die Zeit , S. 31 . Konrad, K. A. , 17. Dezember 2012. "Die Illusionen der Klimapolitik" , Frankfurter Allgemeine Zeitung , S. 12 . Konrad, K. A. , 2012. "Karlsruher Richter können den Spielraum erweitern" , Die Welt , S. 13 . Konrad, K. A. , 28. September 2011. "Retter riskieren zu viel" , Financial Times Deutschland , S. 24 . Konrad, K. A. , 18. April 2011. "Strikte Auflagen für Krisenstaaten sind Augenwischerei" , Handelsblatt , S. 8 . Konrad, K. A., 17. November 2010. "Warum neue Regeln der Eurozone nicht helfen." Die Welt, S. 15. Konrad, K. A., 1. September 2010. "Öffentliche Finanzen – Kein Geld für Pleite-Staaten." ZEIT online. Konrad, K. A., 1. Mai 2010. "Europas Angst vor dem Griechenland-Syndrom." Börsen-Zeitung, S. 7. Konrad, K. A., Mai 2010. "Landwirtschaft ist Partner im Klimaschutz." Deutsche Bauern Korrespondenz, S. 20-21. Konrad, K. A., 8. März 2010. "Ein Garantieschirm für Griechenland." Handelsblatt, S. 11. Konrad, K. A. , 25. Januar 2018. "Recht auf Zwangsbeiträge verpflichtet zu Sparsamkeit" , Meinungsbarometer.info . Konrad, K. A. , 05. März 2015. "Das Wettbieten der Sender zeigt Systemversagen" , Horizont , S. 12 . Konrad, K. A. , 26. Februar 2014. "Deutschland zieht den Euro hoch" , Finanz und Wirtschaft , S. 20 . Konrad, K. A. , 2014. "Le projet européen doit être sauvé, pas forcément l’euro" , L’Expansion , S. 26 -29 . Konrad, K. A. , 01. Dezember 2013. "Als Zahlmeister ist Deutschland zu klein und nicht wohlhabend genug" , feine adressen , S. 4a -5a . Konrad, K. A. , 17. August 2013. "Wenn, dann muss Deutschland raus" , Die Welt , S. 5 . Konrad, K. A., 30. April 2013. "Europa schwer beschädigt". Focus Money, 19, S. 6. Konrad, K. A., 21. April 2013. "Auch 60 Prozent Schulden sind zu viel". Welt am Sonntag, S. 35. Konrad, K. A., 2012. Deiche statt Windräder. Der Spiegel, 49(136). Konrad, K. A., 2012. Europa und der Euro sind zwei völlig unterschiedliche Dinge. Wirtschaftswissenschaftliches Studium, 1(41), S. 34-35. Konrad, K. A., 12. August 2011. Staatsschulden – Warum auf einmal des Teufels. Hörfunk Schweiz. Konrad, K. A., 12. August 2011. EU-Schuldenkrise. Deutsche Welle. Konrad, K. A., 14. Juli 2011. EU-Schuldenkrise. STAR FM. Konrad, K. A., 2. Juli 2011. Griechenlandkrise. Deutschlandradio. Konrad, K. A., 20. Juni 2011. Griechenlandkrise. ARD Tagesthemen. Konrad, K. A., 10. Oktober 2010. Versackt im Schuldenberg. ZDF heute. Konrad, K. A., 2. September 2010. n-tv Nachrichtendienst. Wirtschaft aktuell. Konrad, K. A., 31. August 2010. Droht die nächste Schuldenkrise in der EU?. dw-radio/dw-world.de. Konrad, K. A., 30. Juli 2010. Griechenlandhilfe war falsch. ZDF Morgenmagazin. Konrad, K. A., 30. Juli 2010. Klassik à la carte. ARD-Hauptstadtstudio. Konrad, K. A., 29. Juli 2010. Die Schulden merken wir heute schon. Deutschlandradio Kultur. Konrad, K. A., 28. Juli 2010. Schulden ohne Sühne?. Politischer Radio Feuilleton des WDR Hörfunks. Konrad, K. A., 15. Juni 2010. Griechische Finanzsorgen auch in Spanien. ZDF Morgenmagazin. Konrad, K. A., 2012. Europa und der Euro sind zwei völlig unterschiedliche Dinge. WiSt, 41(1), S. 34-35. Konrad, K. A., 18. Dezember 2011. The Haircut will not Solve the Major Problems of Greece. Erschienen auf griechisch. Real news, S. 30. Konrad, K. A., 7. April 2011. "Der Kern des Problems liegt im Bankensektor". EurActiv.de. Konrad, K. A., 25. Januar 2011. Ein Anreiz für die Länder, Schulden zu machen. Kölner Stadtanzeiger, S. 5. Konrad, K. A., 3. Oktober 2010. Die Energieversorger werden die Brennelementsteuer selbst bezahlen. Welt am Sonntag, S. 67. Konrad, K. A., 10. Februar 2010. Die Hilfe für Griechenland kann ein Fass ohne Boden werden. Die Welt.